Gold prices are forecast to trend higher in 2018 based upon a generally positive economic and political backdrop for the metal. The US Federal Reserve and other major central banks will only gradually tighten monetary policy and therefore risk being “behind the curve” as inflation starts, at last, to rise a little more strongly than most expect. This will result in real interest rates remaining flat to negative in the major currencies, which should sustain investor interest in gold. Moreover, on the currency front, further, albeit moderate US dollar depreciation this year will boost US dollar gold prices. Gold should also benefit from some investors looking for an alternative parking place than cash to protect themselves against the increasingly overvalued US stock market and a bond market that looks as if it is entering a long-term bear phase. Finally, elevated political risk would seem to be an ongoing concern, especially with US foreign policy these days a disruptive rather than stabilising force in international relations. Silver is expected to follow gold higher in 2018 but the ratio between the two metals, while narrowing somewhat, may well remain fairly elevated by the standards of previous bull markets for gold and silver. A large structural supply “surplus” in the silver market requires a high level of investment just to maintain prices. Besides the real hurdle this presents to higher prices there is also the impact this fact may have on investor behaviour. Thus, while some may still be tempted by silver’s traditionally higher volatility and theoretically greater scope for gains (than gold) other’s will be daunted by the metal’s rather weak underlying fundamentals. In addition, silver will generally not be considered by those mainstream funds seeking an alternative asset to hedge their exposure to stocks and bonds. Furthermore, it appears that the ‘bedrock’ demand from private investors in physical bars and coins in the US and Asia may be eroding after several good years. In short, while silver is expected enjoy a solid gain in 2018 a major re-setting of the trading range is considered unlikely. Platinum continues to be weighed down by its lacklustre supply/demand fundamentals and this picture will not change for the better in 2018. An expected reduction in mine supply will only be marginal and probably more than offset by higher recycling. Perhaps more ominously, demand for the metal is set to drop further. The use of platinum in autocatalysts is vulnerable to what now looks like an accelerating slide in diesel-powered light vehicles’ market share in Europe. In addition, a further marginal decline is on the cards for platinum’s second largest end-use in jewellery, as some slippage in key market China looks probable. That said, given expected gains in the gold price this year it is difficult to see platinum being entirely left behind, although the spread between the two precious metals could well widen in 2018. 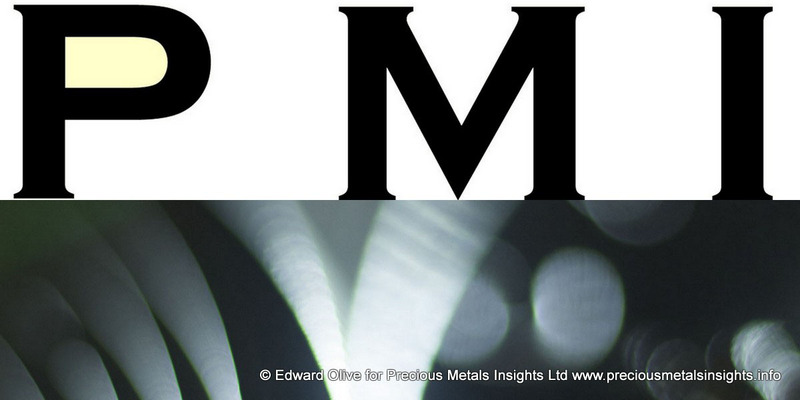 In 2018 palladium’s very favourable supply/demand fundamentals will continue to provide a sound basis for price gains. The forecast of only a limited pick-up in supply due to higher recycling and little change to overall fabrication demand would see another year of substantial “deficit” in the market. In recent years, falls in ETF holdings have at times played an important role in balancing the palladium market. Following the significant reduction in these bullion holdings, however, it is probable that in 2018 more metal will have to come from other, diversely held market stocks. Moreover, higher palladium prices will likely be required to mobilise this metal. Nevertheless, while the general direction of travel for the price should be upwards, this is almost certainly going to be accompanied by a high level of volatility. An important reason for expecting this is the scope for a major sell-off from the presently elevated level of long speculative positions in palladium. A potential trigger for this could be negative news on the demand front, such as a fall in US and/or Chinese car sales or, more generally, signs of a serious economic slowdown in either country. Precious Metals Insights Ltd Gold, silver, platinum and palladium consultants Hong Kong.